When I was starting my nascent outdoor “career”, I was given a gift certificate to one of the few outdoor stores (at the time) in Rhode Island. URE Outfitters is still around and located in the semi-rural part of my home state. For a person starting off in the outdoors in Rhode Island, my choices were limited. I could go to Eastern Mountain Sports over the state line in nearby Massachusetts, order from the Campmor catalog or go to URE. URE is a wonderful store I’d hit on my way back from such “remote” places as the Arcadia Management Area. And URE helped me take my initial forays into the outdoors. I bought my first “real” cook set at URE and also the tent I took on the Appalachian Trail. I also bought a copy of Mountaineering – The Freedom of the Hills. A book I still have and look at from time-to-time. Currently in its eighth edition, this 55+ year old book is more than just about mountaineering. It is more properly thought of as a comprehensive text book that discusses everything involved with mountaineering: Knots, backpack types, ski types, map readings, shelter types, hydration, first aid, ice axe use, how to self arrest, shoe types, how to layer properly, etc etc. etc. and ETC. Think of this book as the “General Education” requirements for the outdoors distilled into book form. Nothing can beat hands on experience to truly learn about the outdoors, but this book is a classic reference text for a reason. It has has place on my book shelf with such books at The Complete Walker and Wilderness Ethics. Meaning, a book I still refer to from time to time and always seem to learn something from every time I consult it. Now, this book is not, in my opinion, meant to be read from end to end. It really is a text book meant to be consulted as needed or perhaps thumbed through and see what looks interesting. With over forty different editors, there is not one voice for this book. 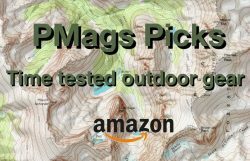 It truly is a text book for the outdoors. You don’t read the book to enjoy Fletcher’s wonderful writing style or the Watermans’ rhapsodizing about the wild places, you consult Mountaineering: Freedom of the Hills to instruct yourself and inform. Currently, this book is not available in electronic form (EDIT: A big thanks to the gentleman in the comments below for informing me that the book is available in ebook form. Just a bit obscure to find and does not readily come up vs the print version.) The current edition was published in 2010. I suspect future editions will be available electronically (EDIT: or least more obvious!!!) as a book of this type really is one for reference. Electronic books seem to work well for reference material in my opinion. 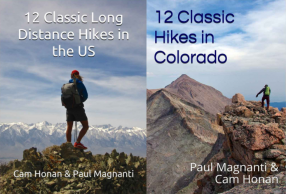 Will this book benefit anyone who is not into mountaineering? A definite “Yes” in my opinion. 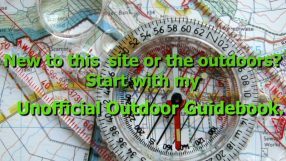 Knowing snow conditions, basic knots, terrain types, layering , map, compass and GPS skills are all needed information for anyone who goes into the backcountry. And Mountaineering: Freedom of the Hills is an excellent book for anyone outdoors person to own and to learn about some of this information. The book is not activity specific. 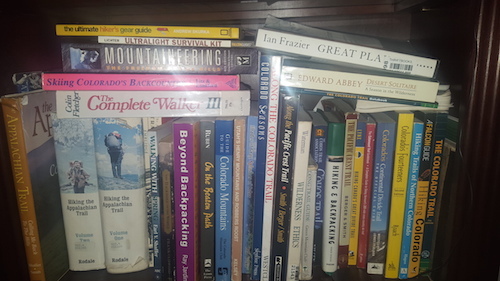 And other books on climbing, backpacking, skiing, etc. will cover more specific material and will be more in-depth about the subject matter. But no book has the breadth, overall usefulness and practical knowledge distilled into 500+ page as well as Mountaineering: Freedom of the Hills for general outdoor use. Pick up a copy and continue to learn from it over the years. The ebook listing links to the paperback and hardcover versions, but those don’t link back to the ebook. Makes it hard to find. Thanks! The ebook version is indeed obscure!! I grew up reading two books, “On Your Own in the Wilderness” by Townsend Whelen and Bradford Angier and “Mountaineering – the Freedom of the Hills”. I took a look at my copy and it’s the second edition. I bought it new from REI, probably in the late sixties. Neither I, nor my friends, could afford a lot of gear, so we made do with what we could find, mostly surplus. Every once in a while, we would get together and send a group order to REI. In those days, there were no outdoor stores and we would spend our time looking through the REI catalog at things we could only dream of. Another great outdoor read is “The Last Season” by Eric Blehm. It is the story of a ranger in Kings-Sequoia National Park. It tell about his life growing up in the outdoors and his life and disappearance. A great read on a cold afternoon by a roaring fire with a cup of hot chocolate. Heard good things about this book..and just finished another one. Timely suggestion!